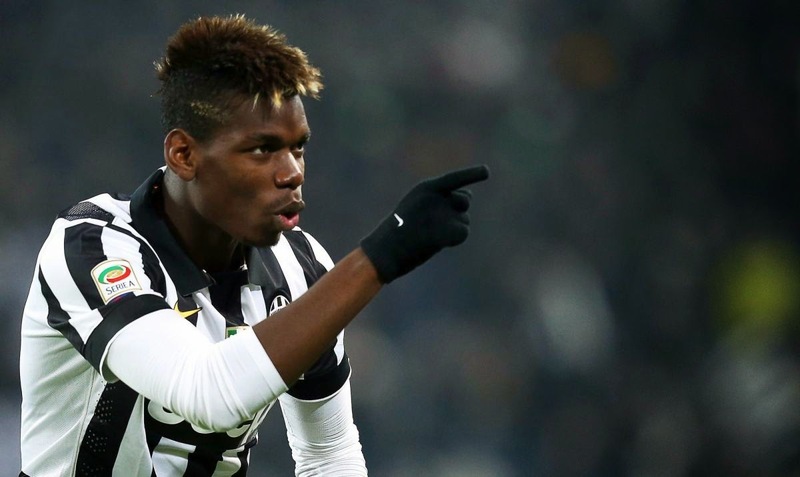 Will Paul Pogba Break £100 Million Transfer Fee? A plethora of Europe's big spenders have their eyes on the Frenchman. While the transfer window is an ever-changing complex of twists and turns, one certainty is that the money spent will continue to rise. And, when the big clubs come knocking for someone who may soon become the best midfielder on the globe, that amount could shoot through the roof. Paul Pogba is aged 21 but remains the hottest property on the transfer market today. It's no surprise, either. Currently playing his football at Serie A juggernauts Juventus, the young Frenchman's bewildering skills, golazos and pure talent has been well documented. It's almost an inevitability that, as time goes on, and his stock continues to exponentially rise, an offer will come in that cannot be rejected. Whoever locks down Paul Pogba will not only have some world-class talent on their hands, but they would have invested into his future development. As per, the dosage of rumours have been making their rounds and a worth of the whereabouts of £75 million for his signature is on the cards. But, should the Serie A champions hold on to him for that little longer, and at the rate of his growth, he'll be well on his way to making it triple digits. Poll Pogba: Will the Frenchman cost over £100m? What additionally contributes to his worth is his World Cup experience. In the summer's tournament, Pogba proved a vital element to Les Bleus' impressive run, collating some remarkable performances while doing so. Playing at the age of 21 and managing to secure a spot in the French midfield says it all. But it doesn't, not in the case of Paul Pogba—he's rubbing shoulders with other World-class talent too, such as Andrea Pirlo and Arturo Vidal for his club. According to Squawka, the maestro has created 25 chances over the course of the season so far. It goes without saying that his presence in front of goal added to that gives him the potential of becoming the best midfielder on the planet. Speaking of potential, Paul Pogba was named in the 23-man shortlist for the FIFA Ballon d'Or back in October giving us all the more reason as to why any club will be willing to spend so much cash on him. Triple digit sums are in Pounds, of course. For Euros they were well broken a while ago, but €133 million is the total needed to push the deal over £100 million. With the currency argument out the way, it remains an astronomical amount of money. But it's surely worth it in this day and age of the game. It's definitely out there too. Manchester United manager Louis Van Gaal was handed in excess of £100 million to splash in the upcoming summer transfer window, while Real Madrid won't be hesitant to break the transfer record again, like they did signing Gareth Bale. While Manchester United's hopes may be dashed already. Even with the money to spend, the saga that unfolded regarding Pogba's early tenure with the Red Devils may be the end of it all, as Andrea Pirlo told the club that he will never rejoin them, per ESPN. Paris Saint-Germain could also be angling for his move to the Parc des Princes, of which would be another fantastic combination. Of course, there's always the possibility of him staying no matter what—Juventus are the polar opposite of a 'small club'. Here in the case of the Juve starlet, you've someone who has catapulted to one of the best players in the World, with years ahead of him. With Paul Pogba, you have justification, and if there's justification there's money, and plenty of it. If the right time strikes there could be seismic, triple-digit sum on the table. FC Barcelona: Will Suarez settle? Real Madrid: Could Modric bring back magic to England? Race for Reus: Where will Dortmund star end up? TheSportMatrix • We Live For Sport: Will Paul Pogba Break £100 Million Transfer Fee? Quickly developing into one of the best players in World football, could Paul Pogba break a triple-digit transfer fee?